This week there is a buy one, get one 50% off sale on flip-flops, sandals & canvas shoes both in-store and online at Target.com There is no code required, the discount of the lower priced item will be applied at checkout. Now would be a great time to pick up some new styles for spring and summer for the entire family! Target REdcard holders will get FREE shipping. If you spend $35 you’ll get FREE shipping with any form of payment you choose. 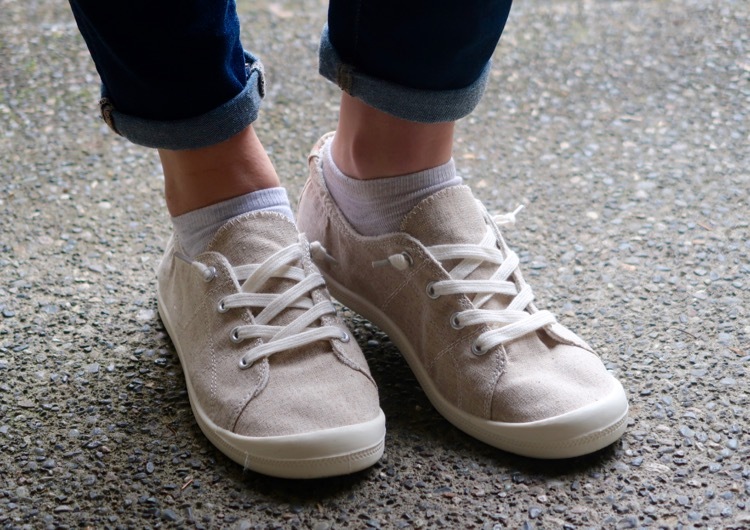 The sale includes the popular and highly rated Mad Love Lennie Sneakers. I own a pair and they are super comfortable. They are rated by over 500 people and they have a 5 start rating! I did have to go a size up, because they seemed a little on the small side, so keep that in mind when ordering.